He’s gone to Ohio now. Bye bye piggy. how about the inappropriate pictures? are they still around…? He’s awfully cute! 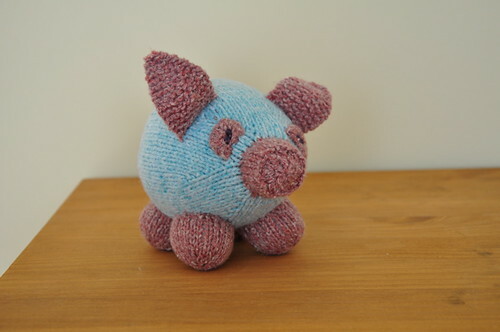 I have to admit, I love knit toy patterns, but I almost never make them because they are just too darn fiddly.